VitaliKor, Does It Really Have Bad Ingredients? Check it out! VitaliKor is produced by Vitality Research Labs claiming that their Fast Acting Formula is 100% natural and safe. And it really worked before and helped men get strong erections and last longer. The supplement appeared to contain tadalafil and vardenafil. These ingredients are used to create Cialis and Levitra formulas, but these medications are not prescription-free and are taken after you consult your doctor only. You should know that tadalafil and vardenafil when combined with nitrates, can cause a significant pressure drop. And often, men who are suffering from high blood pressure or cholesterol, heart disease, chest pain or diabetes, take medications containing nitrates. What ingredients does Fast Acting Formula contain? But the new formula seems to be less effective as it does not treat erectile dysfunction. When reading the reviews, you can find out that the customers are not satisfied with it. There are more negative comments than positive feedback. You can buy VitaliKor online – Amazon, eBay, GNC or others. And many people want to know how it works. On a voluntary basis, a guy took the pills for several weeks and felt only some slight effect. It was so difficult to estimate it. Based on the personal comparative analysis (that confirms negative reviews), the reviewer ensures that new ingredients do not act fast and can be of little help. However, they cause no side-effects. VitaliKor Fast Acting Formula – in its old version – helped men improve their sexual health. The company promised that men could treat their erectile dysfunction with safe and natural ingredients. But it appeared to be false: tadalafil and vardenafil combined with nitrates could have caused serious harm to men’s health. People taking the so-called “herbs, botanicals and extracts” to improve their health could have lost it. We really appreciate the FDA research. By doing its job, it protects us from liars and dangerous ingredients. The new Fast Acting Formula… It is difficult to believe the company who has already cheated us. Yes, it has changed the ingredients, and now, the supplement seems to contain natural ones. But reading the reviews and comments, the formula does not meet what it promises. The customers are not satisfied with its effect. Besides, when reading the new label, we have noticed a spelling mistake in the word ‘cause’: “The product may cause some gastrointestinal discomfort in sensitive individuals”. Probably, we wouldn’t have paid attention to it if there had been no lie. And, can you believe the effectiveness of the product when its company can’t spell a short label without a mistake? Based on the facts mentioned above, we cannot recommend VitaliKor. 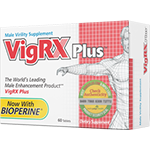 You can find other supplements like VigRX Plus. that are more powerful and effective and will not cause harm to your life. I have been using this product for several months, it goves me harder erections and stronger orgasms.